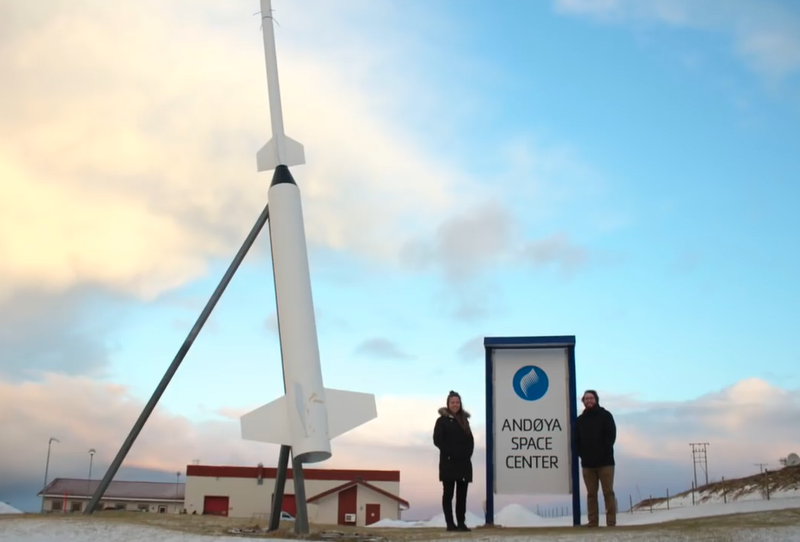 Two University of Iowa students will be flying to far northern Norway for “rocket school” later this month, the only American students taking part in the prestigious program. David Miles, a UI professor of physics and astronomy, says they’ll design, build, launch and recover a nine-foot-long, carbon fiber science rocket, all in less than a week. The two UI students selected for the program are Emily Silich of Epworth and Danny Tallon of Mondamin. Miles says they’re prepared for the challenge, though it won’t be a cakewalk. It is, after all, rocket science. Gulick and Larson in Norway, 2018. It’s difficult to recruit students to pursue careers in space-related fields, according to Miles, but it’s a promising, rewarding avenue. Silich and Tallon, both UI physics majors, will be in Norway for the course January 21-25. The students’ trip is funded by the U.S. National Science Foundation. 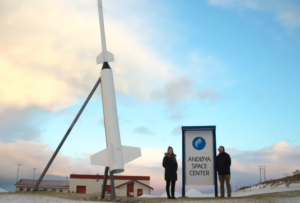 This is the 6th year for the Canada-Norway Student Sounding Rocket (CaNoRock) exchange program. 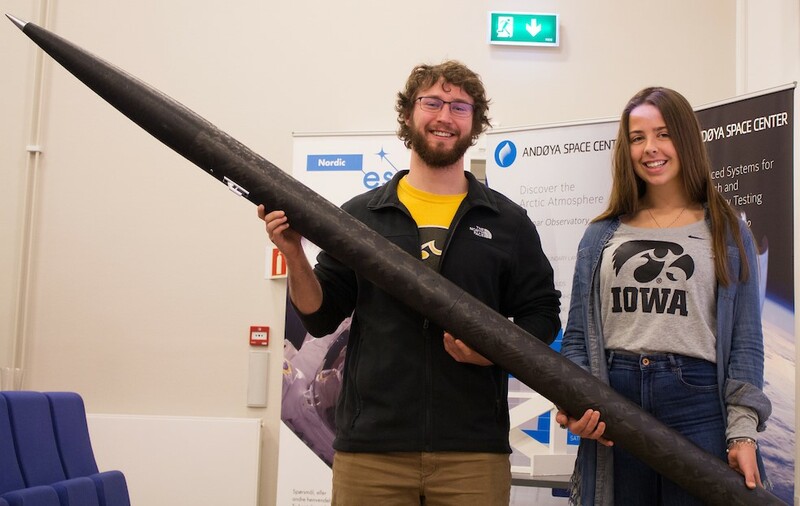 It’s a partnership among higher-education institutions and space agencies in Canada and Norway — and Iowa. Miles is a native of Canada who took part in the rocket school as a graduate student at the University of Alberta. After joining the UI faculty in 2017, he lobbied to get the Iowa City institution included.